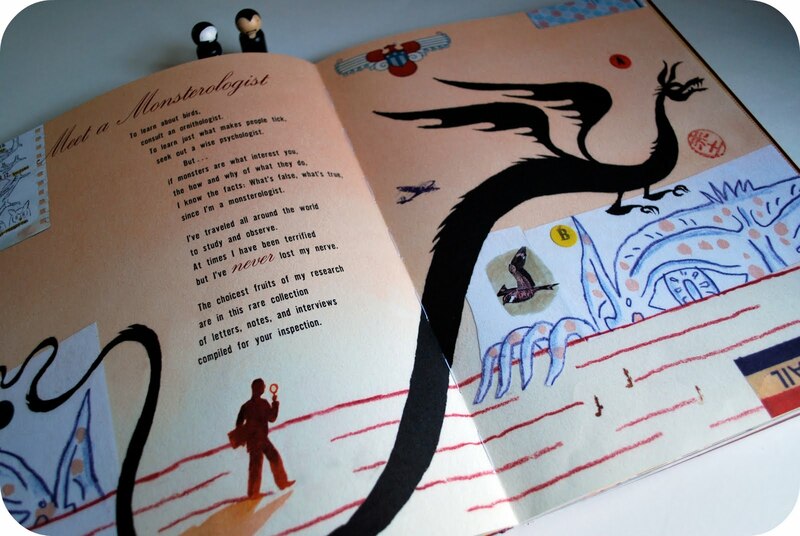 Do you have a budding monsterologist in your home? If so, this book is required reading. 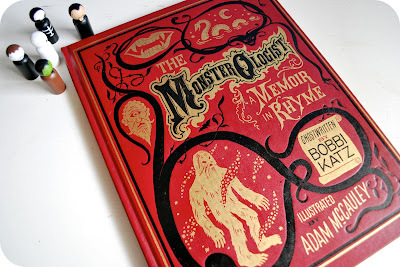 It is The Monsterologist: A Memoir in Rhyme written by Bobbie Katz and illustrated by Adam McCauley. This was a birthday gift to our own resident monsterologist in training, and it has been looked at and thumbed through and carried around so much it is beginning to get a little loosey-goosey in the spine. 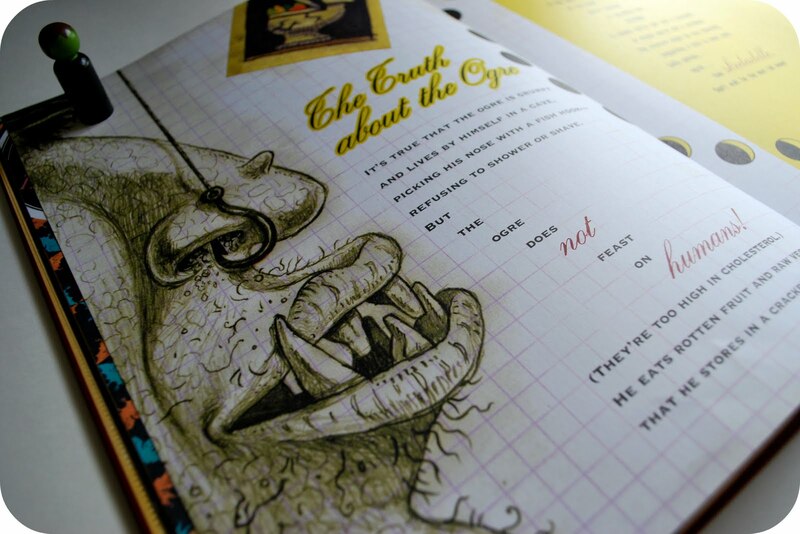 The book is comprised of 23 rhymes about all manner of monsters. 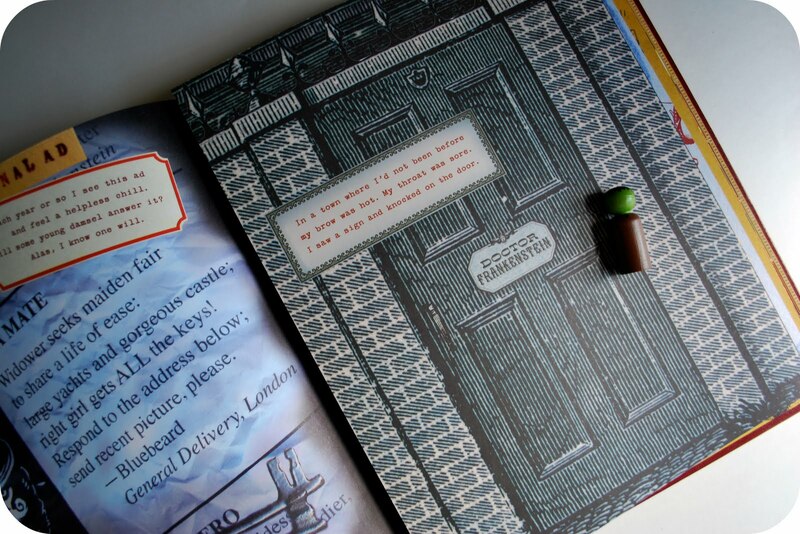 The illustrations are at once richly detailed, while being both gothic and modern--and did I mention marvelous? 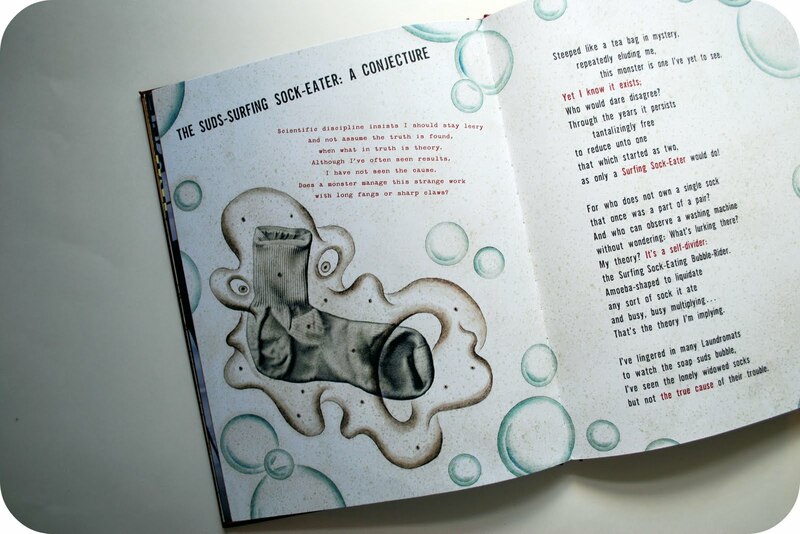 The whole gamut of monsters are covered in this book--everything from the traditional (vampires, werewolves, witches) to the classical (Medusa, Kraken) to those made popular in movies (Godzilla, King Kong), and even the modern-day monsters you might have suspected but never named (the suds-surfing sock eater, the compu-monster). It reads like a recently discovered scrapbook and research journal of a famed monsterologist--which includes a notes and artifacts from the likes of Dracula (you'll find that I'm a genial host, but at times I think I'll burst, unless I drink a bit of blood to satisfy my thirst) that appear to be taped into the book, a survey of zombies which can be unfolded from its envelope (do you consider yourself an equal opportunity eater? 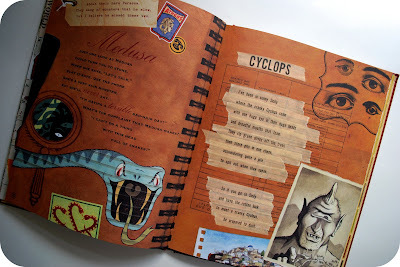 ), and other surprises to be discovered through gatefold pages and sneak-peek die cuts revealing information about a given monster. The book is clever, a bit silly (just enough to resonate with the elementary school set), and so much fun to read and look at. 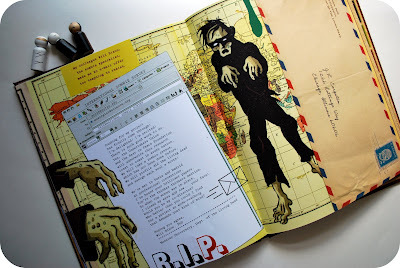 Perfect just in time reading and inspiration for Halloween. my boys would love that book! i'll have to go find it. thanks for sharing! Oh how cute. My nephew would absolutely love that. Fabulous book! Thanks for sharing! I'm gonna go find this for my kiddos...they'll love it! Wow, my boys will go gaga over this book. Thanks for the tip. P.S. I just found your blog and am loving it! I ordered in amazon.co.uk some of the books you wrote about.